The best way to get to know a community is by scheduling a tour. See the facilities, meet the staff and residents, and get a feel first hand what it's like to live at Skye Senior Living Independent Living. 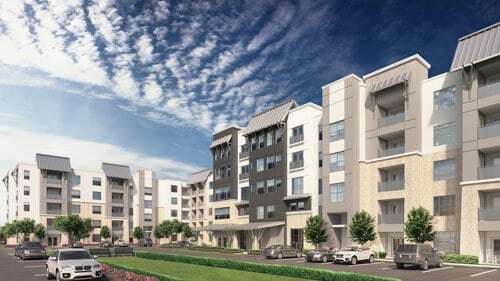 Our brand-new Skye Independent Living Community features beautiful 55+ apartment residences and maintenance-free living in Leander, Texas. Our exclusive senior living community is ideal for seniors who desire pampering with our top-tier services while maintaining their privacy and independence, all in a retirement resort quality environment. Enjoy spacious apartment accommodations and a variety of floor plans to meet your needs. Our modern residences include cozy studios, one-and two-bedroom deluxe suites. Skye is specifically designed for residents who desire an active lifestyle. Among the residents' favorite activities are group excursions, cultural events, entertainment programs, lectures and a variety of fitness classes. Residents can enjoy being catered to by our Live Well-Dine Well programs featuring a restaurant-style menu prepared by our culinary team using fresh and healthy ingredients.